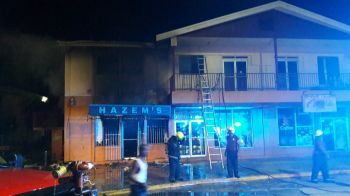 According to reports reaching Virgin Islands News Online, the fire started some time around 2: 00 A.M. today September 6, 2016. 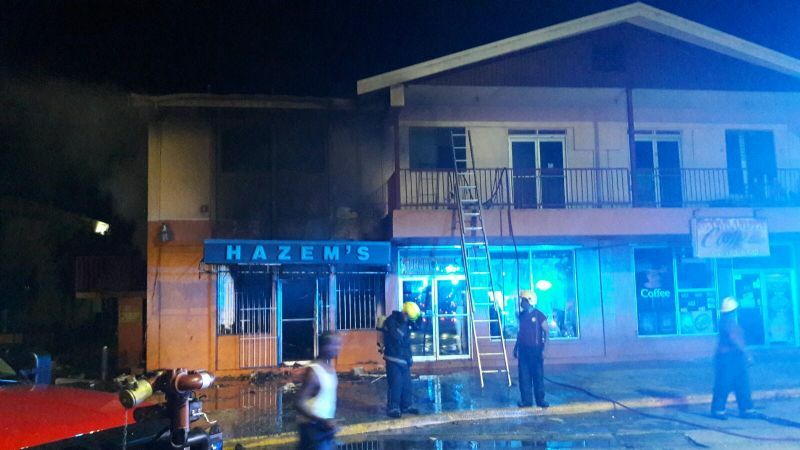 Firefighters have so far managed to prevent the fire from engulfing the entire 2-storey building located next to Vanterpool's Plaza. The damaged building also houses other businesses, including a clothing store and a cafe downstairs and Bolo's Printery upstairs. 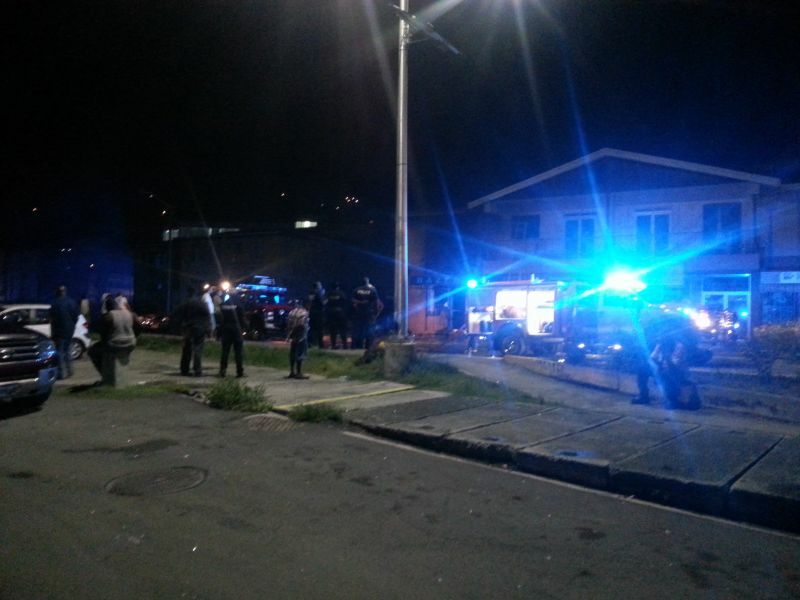 Reports reaching this news site is that some four explosions were heard. Pieces of glass could be seen as far as Crabbe Lot Road near to an ice-cream parlour. From all indications the fire has destroyed the shoe store and damaged the building directly over the shoe store. Virgin Islands Fire and Rescue Officers are still on the scene trying to put the fire out completely. let us hope this gets solved. I hope this was not intentional. So sorry to hear. From the tree that got cut down, to a nearby store. I thought it was Friday. Things that make you go okkkkkk. Might be wrong but I bet it was arson. Have we or did we? These men stored always catches fire. What in the world did he have in that store to cause a fire? If you lived in the BVI long enough you would know what I l'm referring to otherwise keep your comment. Something is fishy we do not have under ground gas line on this island .The fire and police department should not go sleep on this one. deh ting look like it start . seems like we heading to a middle east state of mind BOOMING AND TERRORISM.TIME TO WAKE UP BVI. this is sad and terrible when you say peace sudden distruction. feel free to like or dislike. Seems to me like this is q bomb story! I think they need to eally need to rule arson out. Are they capable of doing it? @ Questiin, I feel the same way to. But, I am going to keep my comment to kitchen table talk. Looks strange two or three days after they had that drama going on. I do not know what happened and I will not give my opinion on the cause. What I want to say is Hazim has put shoes on a lot of families feet in this place for little or nothing. He don't take photo shoots when he help those in need. With school just opening, there are countless families that he was able to help, which the media would never know of. He gives back, and once he knows person is in genuine need, unlike a lot of business men around here, he puts his money where his mouth is. I am sorry to wake up and read about this disaster and I hope that you and all of the affected businesses would be able to rebuild soon.